Bridal churas are an important part of the solah singhar of a punjabi bride. 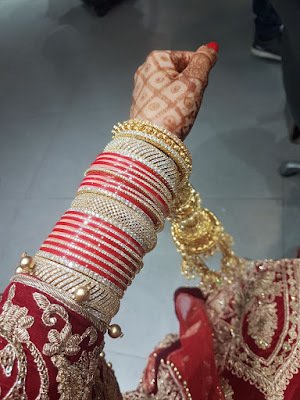 However these days it is not just brides from punjab who wear the chooda and kalire as this culture has taken over all of north India and we can spot all brides sporting different designs and styles of bridal chudaas. Weddings are all about sparkle and shine so glam up your wedding look with a glittering kundan bridal chura. 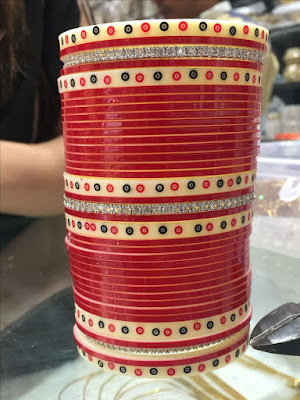 This works best if you have some kundan work on lehenga or choli so it can blend in effortlessly. A wee bit expensive but having things personalized is a every girls dream for her big day. 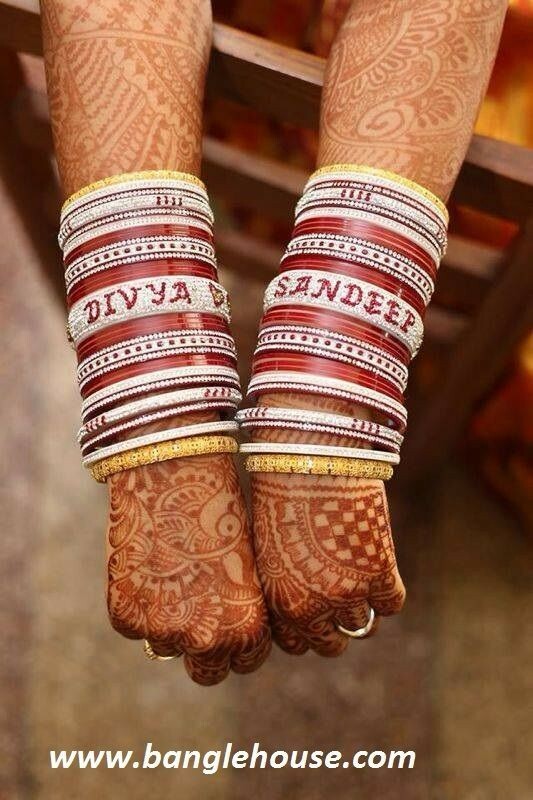 Match the name on your mehndi with churas featuring both your and your groom's name. This one is an instant head turner but make sure to pair with simpler kalire so the churas remain the focus and make a statement of their own. 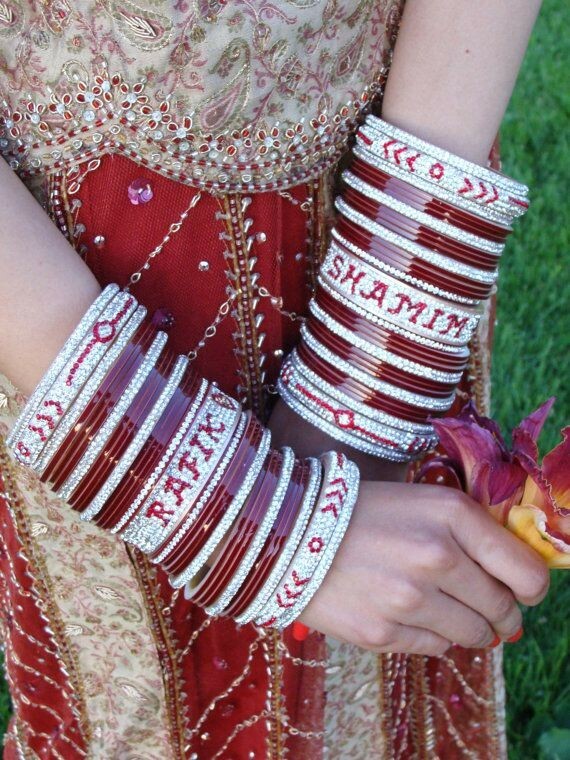 For something like this you need to plan ahead as vendors will take time to make your wedding name bangles. Make sure to order at least a month before your wedding. The floral kadas look beautiful and unique with a chic appeal. 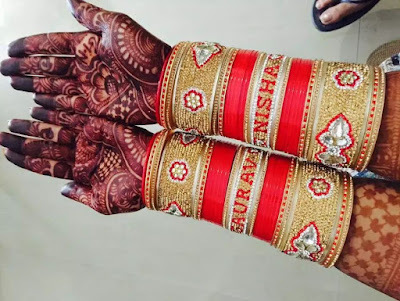 The best thing about this bridal chura is that complements both western and ethnic outfits nicely as you will be wearing churas even after your wedding. 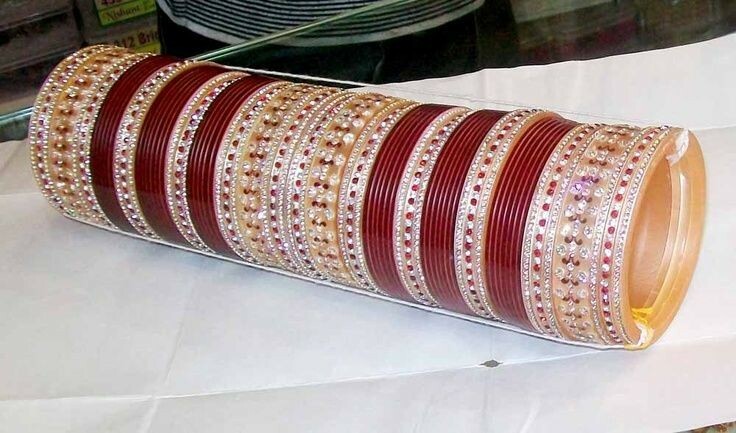 if you are going to be the traditional Indian bride with old world charm then dont experiment much and choose maroon chudas which works best with bridal lehengas which are maroon or red in colour. The best thing about these minimal churas is that it gets easier to carry off after the wedding too. Another minimal yet classic option in red which is comfortable to wear. 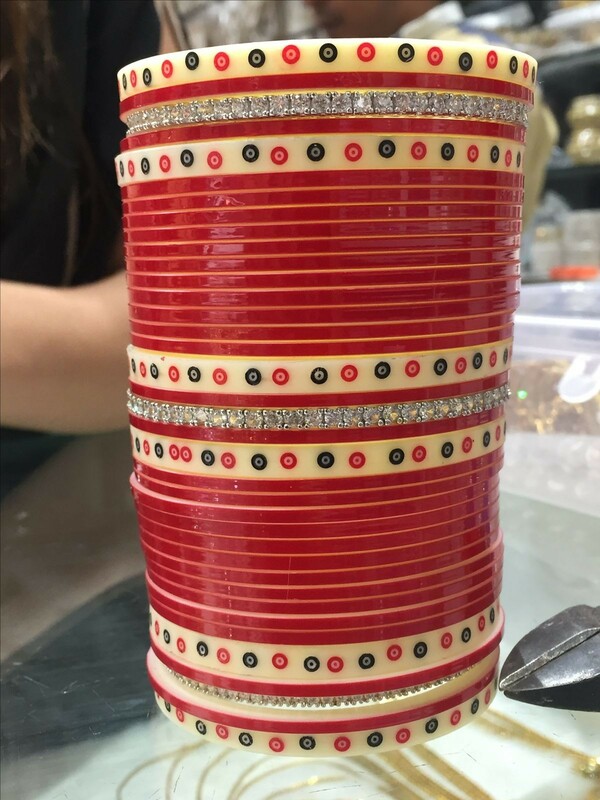 You can jazz this up with fun or over sized kalire designs for a it to look glam. This works best with red lehengas and if your lehenga has some green elements in it then it is icing on the top. 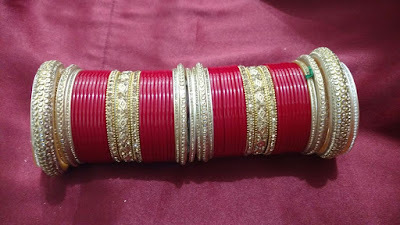 you could also pair your bridal red lehenga with green neck piece and a bridal choora like this. When you want to pop out from the crowd try something exceptional and bold. 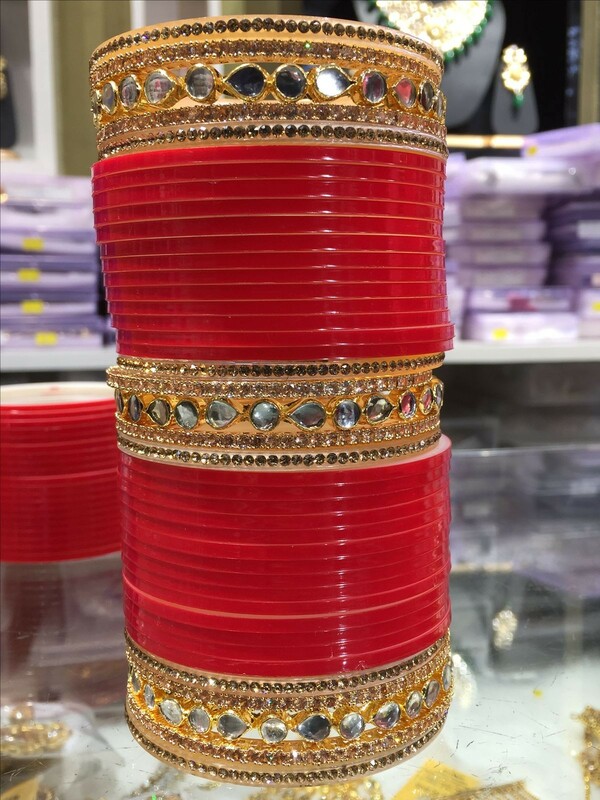 This gorgeous gold and red bridal churas have huge statement thick kadas and as if that wasnt enough you also have name bangles in between which makes for an interesting element. It is your one in a lifetime special day and I totally suggest to try something like this if it blends with your personal style. 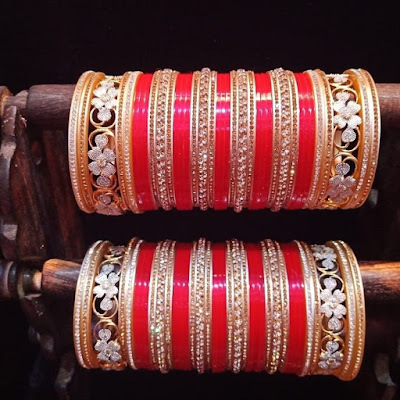 A very contemporary chura design where matte red bangles are mixed with zircon bangles and finished off with three huge kadas on the ends and the middle makes for a drop dead gorgeous picture. 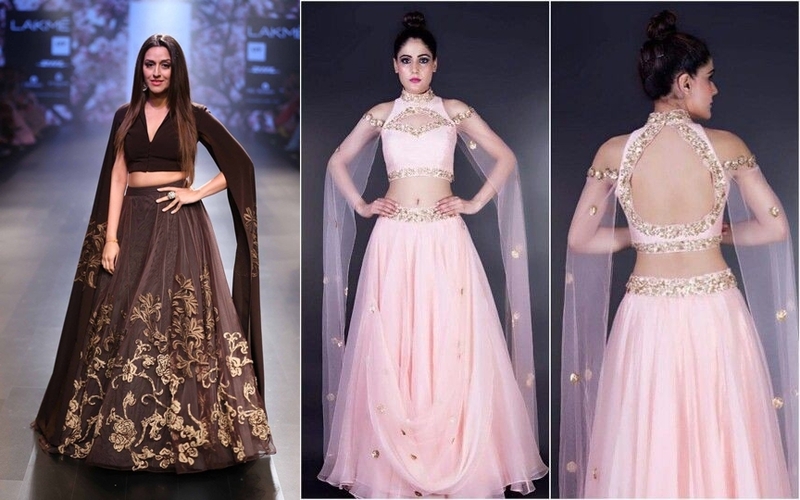 If you have stone work on your lehenga then opt for this chura style and a sleek kalire design to balance things out. Want something sophisticated, elegant and very polished? Try the pearl detailed churas which are a fabulous amalgamation of tradition and modernity. This chura is best if you are wearing a contemporary silhouette or cut for your wedding. 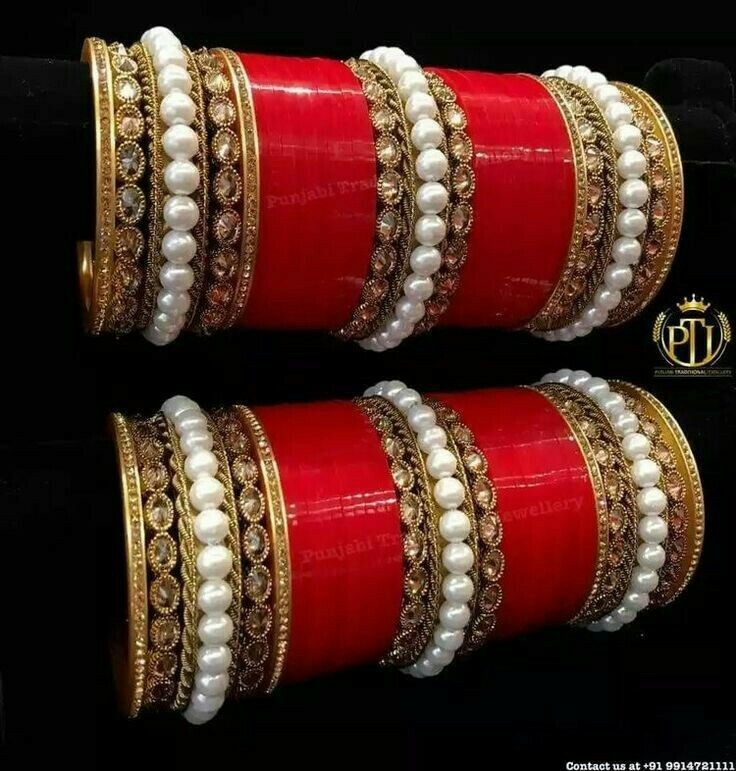 This also works well for lighter coloured lehengas to create a beautiful contrast with red while pearls tie everything up. Oh i love it when brides experiment and innovate. It is your special day so put in effort and decide each aspect of your wedding look properly. 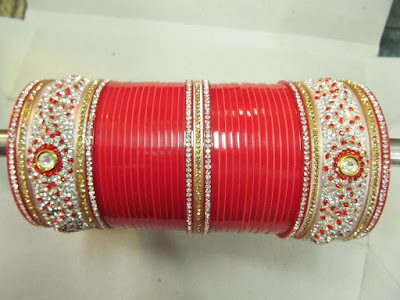 If you are wearing a coral lehenga then try a coral chura and see how it looks. If it looks good then skip the normal red or maroon chudas and make a statement. 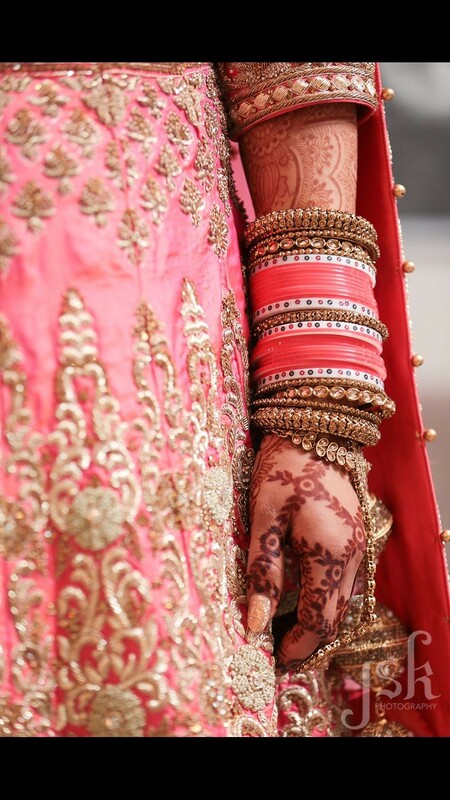 Brides these days are actually matching their light pink lehengas with pink churas. 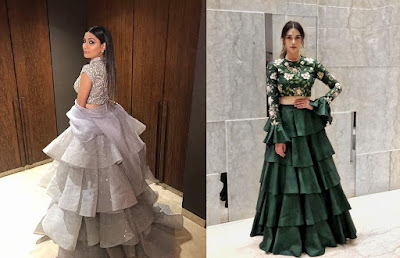 I love this trend which was first spotted on Mira Rajput when she tied knot to Shahid kapoor. 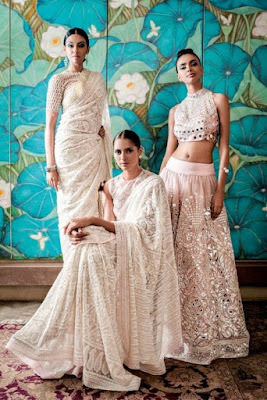 Not just baby pink lehengas this kind of churas work well with lighter coloured lehehngas to give a subtle contrast at day weddings. 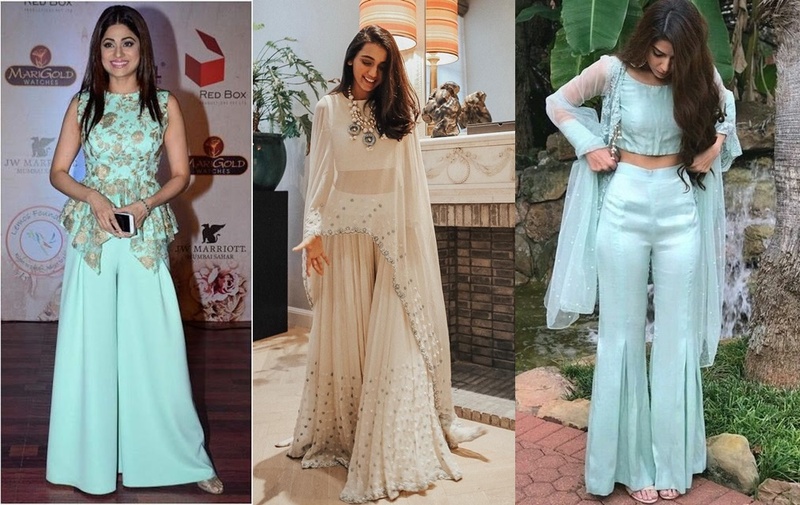 Like mint green, pale blue, beige, gold, off white lehengas. 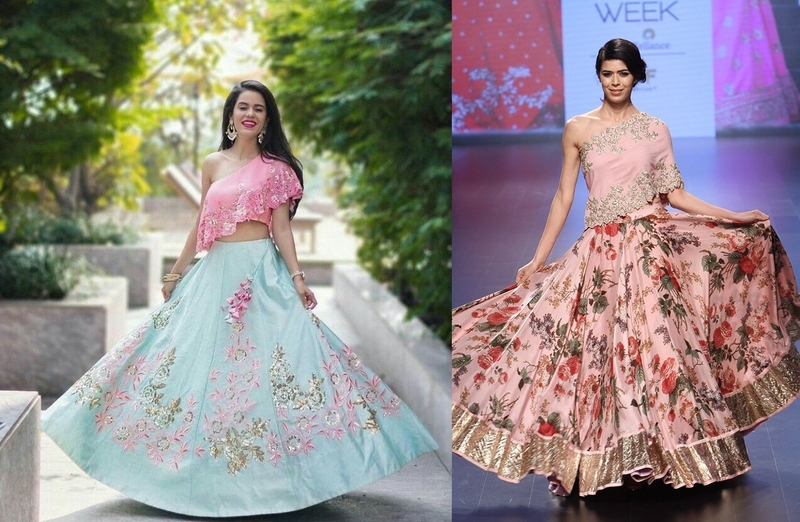 If you love playing the matching matching game with fashion then hunt down for the perfect shaded of pink churas to match with your hot pink lehenga. These minimal churas work well where the colour is the highlight. 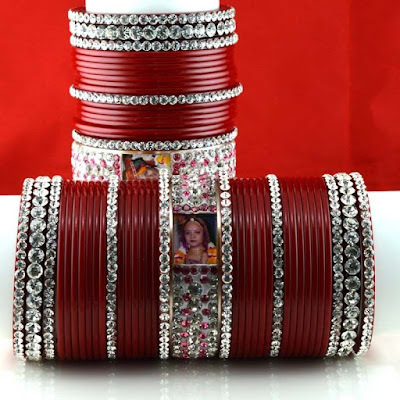 While brides have been increasingly opting for name bangle churas the new trend surfacing is photo churas. a small stamp sized photo of bride and groom is framed into the churas giving a very rich and opulent look which you can treasure all life. If husband wife name bangles is tad bit too much for you then the simpler bride and groom titled chura designs. These arent made to order so are easier on the wallet too. 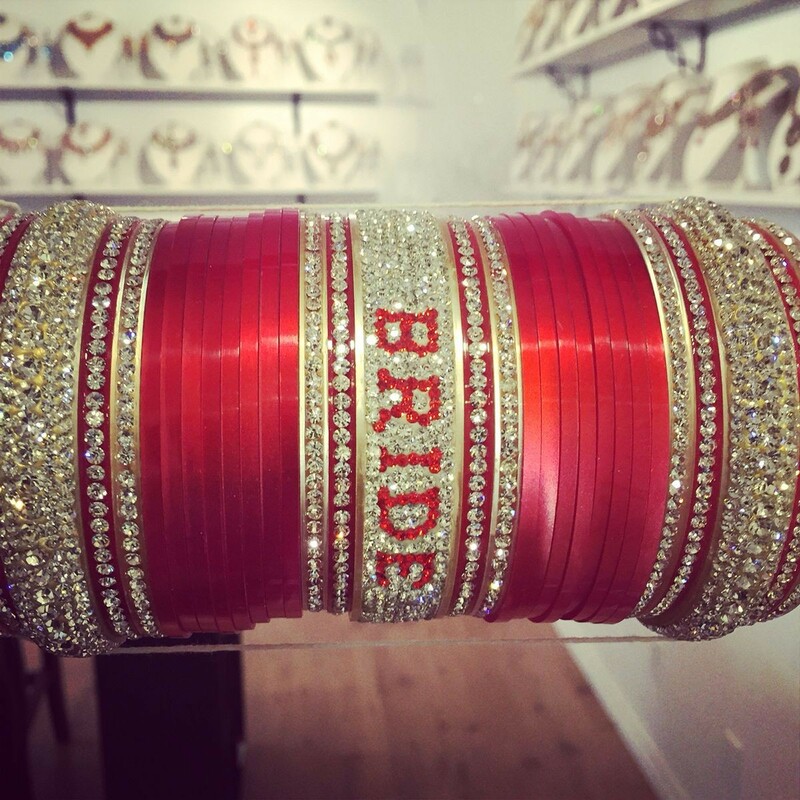 Kundan bridal chura are the most popular chura options these days as brides love this trend. if gives a very regal and a royal feel but if you to keep it more subtle then opt for sleek kundan kadas with plain red bangles. Which of these chura designs do you like most? They say first impression is the best impression which is why girls should pay special attention to every detail of their engagement or roka look. Engagement is when you will be meeting the extended family of your would be life partner for the first time and you sure want to look drop dead gorgeous. If if you are still undecided about 'what to wear' then fret not as we are here to solve your style dilemma bringing you a range of options you can choose from. 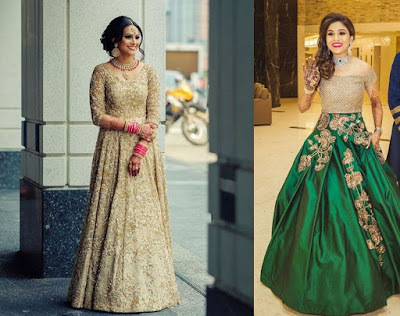 Lehengas are the most preferred engagement dresses for women in India but it is not your only option. 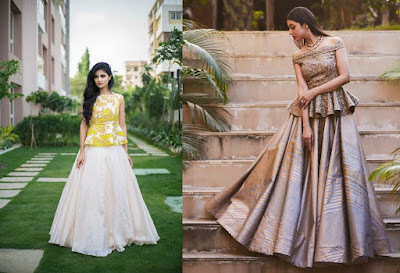 There are plenty of contemporary trendy silhouettes which are ideal for smaller functions like the roka as you can always opt for traditional and classic options like lehenga or saree for the wedding. Here I bring to you a list of latest engagement dresses which are in line with the latest global fashion trends and will help you stand out in a good way on your special day. When finalizing the outfit for your engagement, you as a bride need to do your research well and take the nature of the ceremony into consideration. If it is a small and intimate roka you can opt for something light, breezy yet trendy. 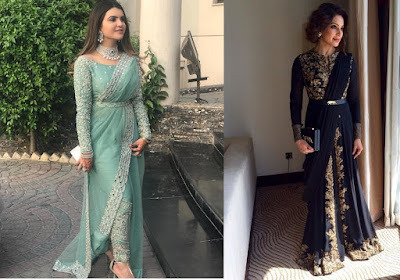 If your engagement party is a big , huge event you can opt for floor length indo western engagement dresses which can make a lasting impression on your soon-to-be in laws. What To Wear To Your Engagement? How to decide? Lets first look into what you should consider before finalizing on your engagement outfit. 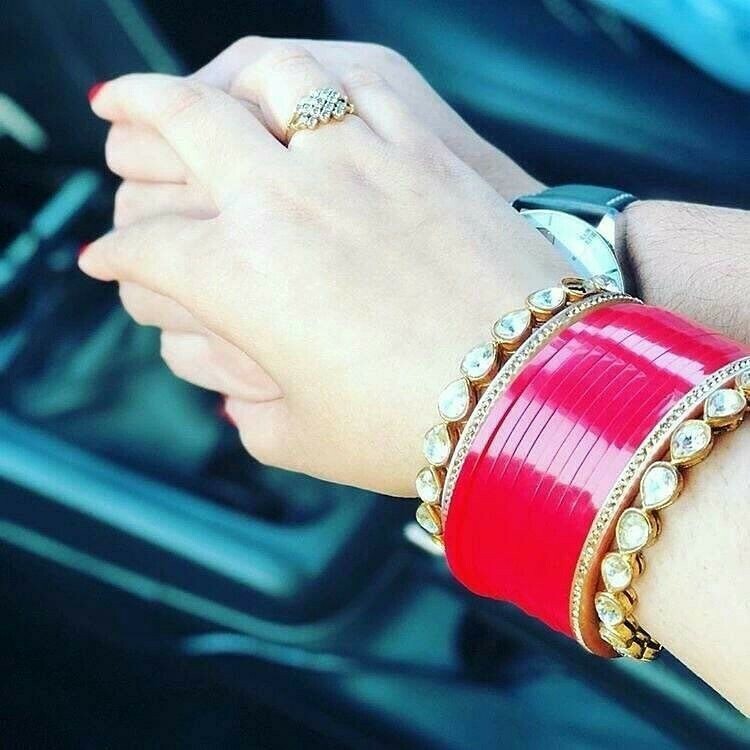 The time of the event: If your is a day engagement you need to pick colours appropriately. Pastels, florals and vibrant hues like yellow, orange, fuschia pink are better suited for morning functions. For a trendy look you can choose most happening colours at the moment like ice blue, rose gold, green apple, peach, mint and lilac. For evening events you need to opt for something deeper and darker. Marsala, emerald green, midnight blue, all look good and if you want something more subtle go for dusty pink, gold, grey or sand coloured outfits. 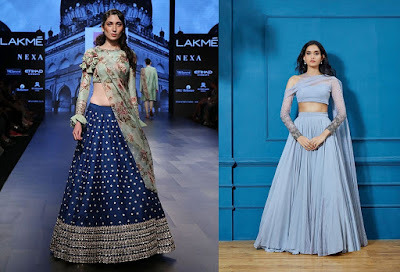 Experiment with different silhouettes: It is 2019 and lehengas and sarees arent your only option so stop being boring and experiment with innovative outfit ideas. 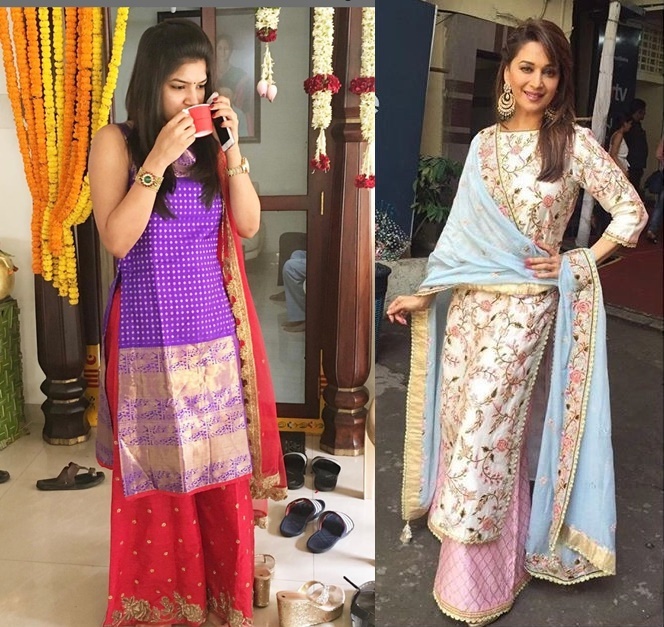 Try gowns, palazzos, drapes sarees, capes with so many options you are sure to find something which is trendy yet fits into your personal style equation too. Fabric matters : Keep the time of the year in mind before finalizing the outfit. Most engagements are outdoor affairs so wearing a velvet lehenga in summer is a huge no! 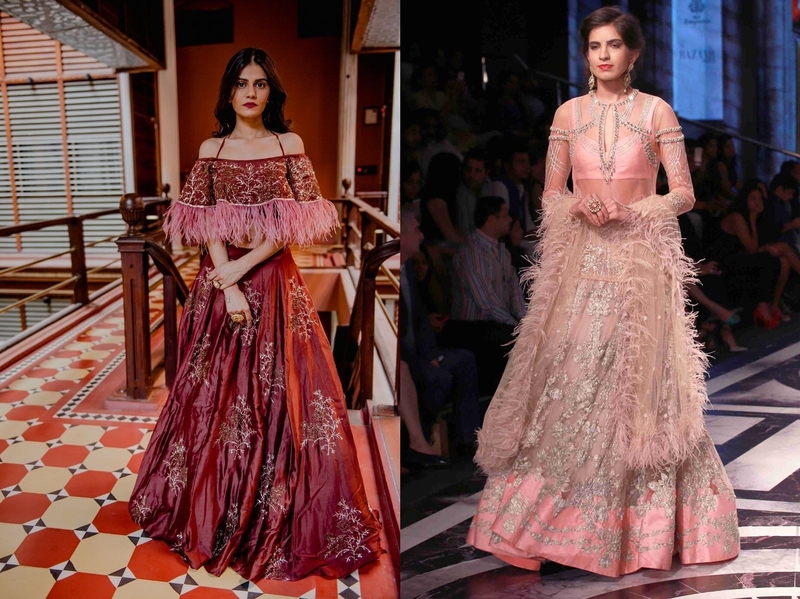 Velvets, brocades, raw silk are great for winter while sheer nets, organza, Georgette are better suited for summer. 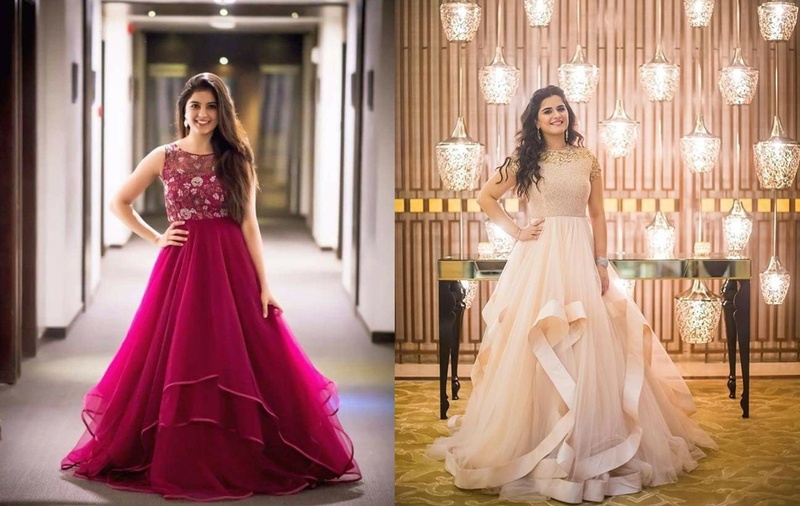 Western ball gowns are dreamy and give a princess vibe suiting the engagement ceremony perfectly. 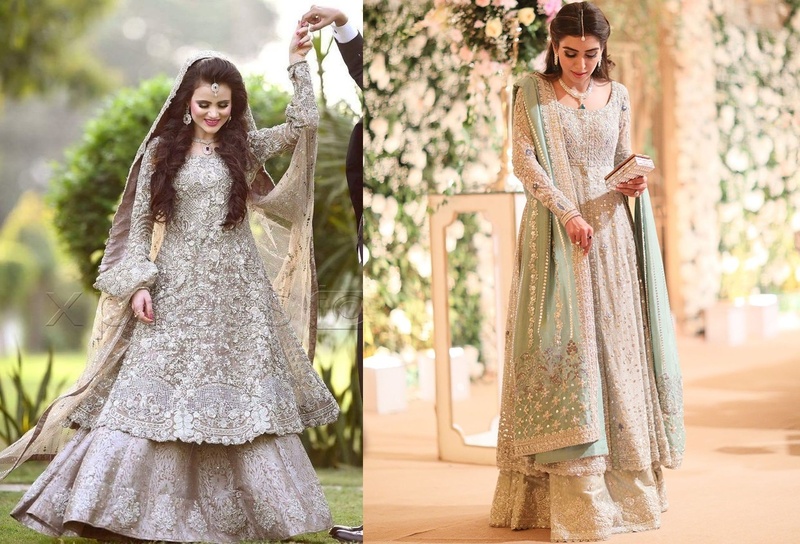 Most preferred engagement outfit these days are gowns and they come in multiple cuts with varying flares to give a straight out of fairy tale chic look. 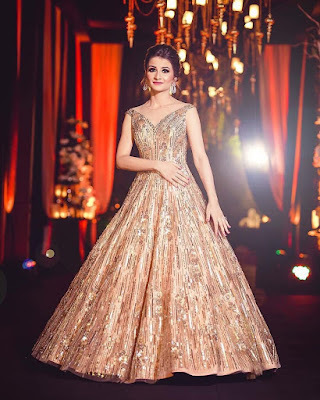 If you think western ball gowns can look too modern and non traditional then dont worry at all because many Indian designer have indianised the gown and come up with Indo-western versions which have the gown silhouette along with Indian details like embroidery, zari work embellishments etc. 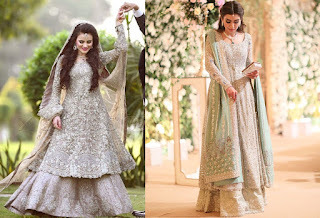 Infact many designers also provide a dupatta with your gown to give it a more anarkali like feel. Sarees are the most preferred Indian wedding outfit ideas and they can make for gorgeous engagement dresses too. 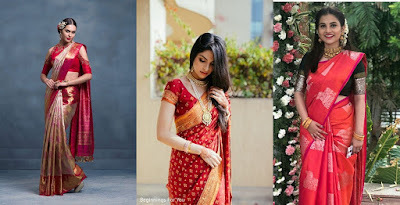 Like most brides if you plan to wear a lehenga for your wedding then bring in more variety with your wedding ceremony photos by opting for a saree for your roka. 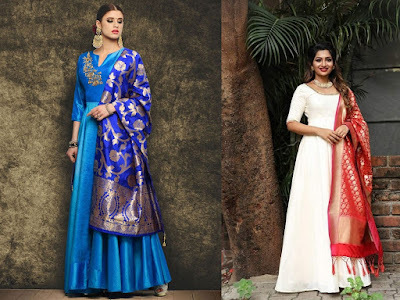 You can choose from the huge variety of silk sarees available these days and add a bit of modern touch to your look by going for a designer blouse. 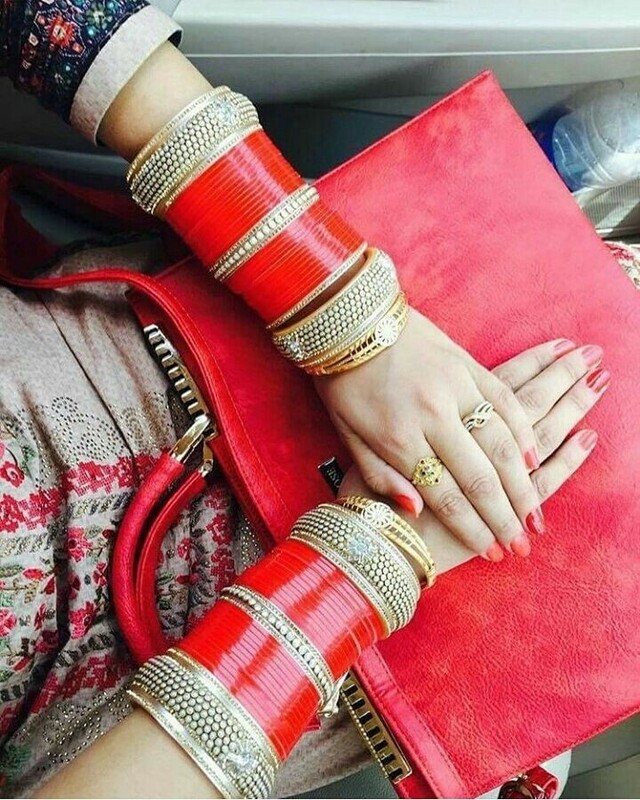 If you want to wear something from your mom's wardrobe for one of your wedding functions for sentimental reasons then engagement is the event to consider. You can wear your mom or grand mothers heritage silk saree and get a new stylish blouse stitched with it and you have an amazing yet meaningful engagement dress ready. 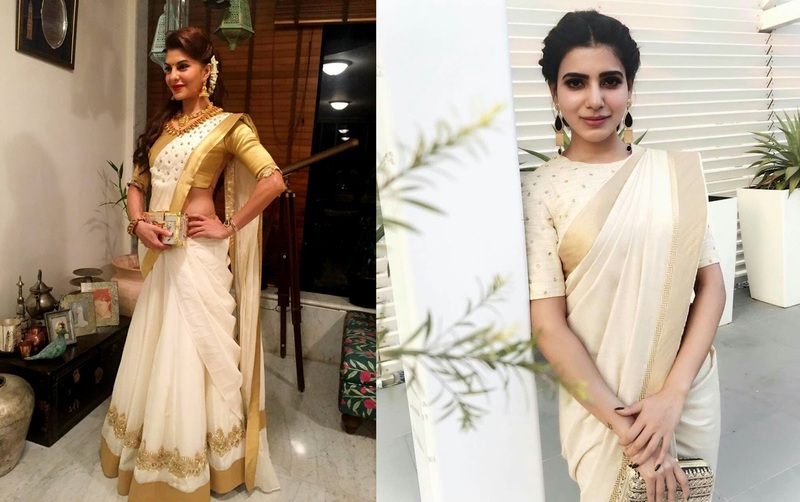 With saree it is very easy to look mature so make sure to decide your hair, makeup and jewelry well in advance for a youthful look with has a traditional charm. Soft wavy hair, a messy bun or even braided updo with fresh flowers and fresh fun makeup can make for a stunner engagement party look. Another fabulous pick for engagements is the anarkali dress but make sure to choose floor sweeping ones which give a more bridal feel. The popular anarkali suit comes in very stylish cuts and designs these days making it the best option to go for. 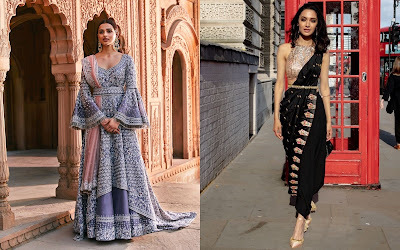 You can choose a thread work anarkali with stone encrusted bust, an asymmetrical hemline anarkali suit or go for a long anarkali gown featuring a high front slit to show off contrast pants. Anarkalis are pretty common Indian wedding outfits which even guests wear so, make sure to choose a design and colour which is sure to stand out. Anarkalis, sarees and lehengas are very traditional engagement dresses which have been done to death. if you want to stick to traditional all time favorites yet want something hatke then sharara suits is your answer. These shararas which are a more festive spin to the breezy palazzo pants come with a heavily embroidered or embellished short kurti and gorgeous lace work dupattas. You can even go for gota work which in vouge these days. This outfit idea is suited for you if you are musim bride. But even if you arent muslim you can channel the royal old world charm from the Mughal era. 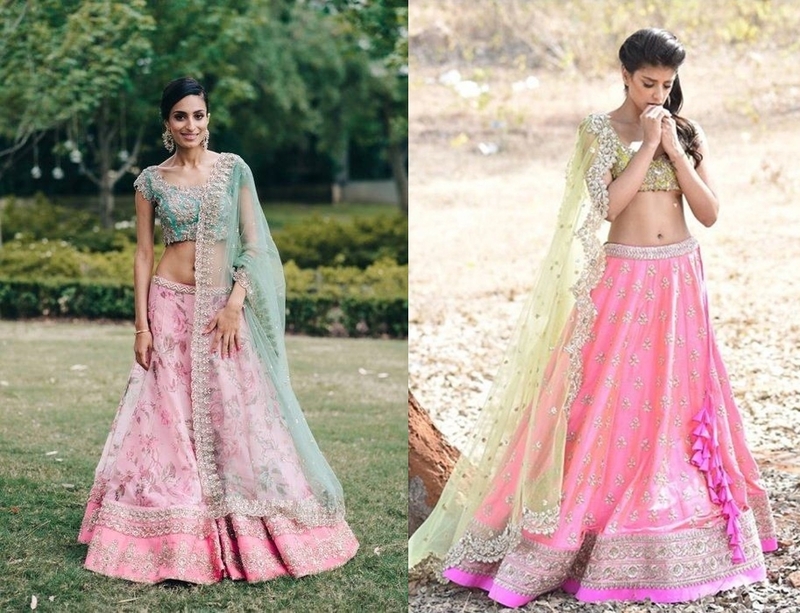 A classic lehenga choli is and ideal choice for a traditional engagement ceremony. 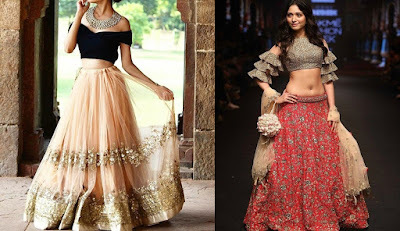 You can never go with a lehenga but it is a very safe choice. 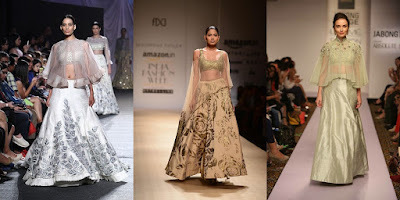 if you are going to be wearing a lehenga for your wedding and reception it makes a lot of sense to opt for something other than a lehenga for your roka. 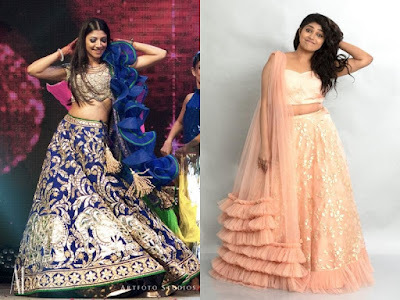 But if you feel lehenga suits you best then you should definitely experiment with your lehenga blouse styles and designs which help it to stand out and look different. a blouse with cape sleeves, tassel, fringe or even off shoulder blouse pattern works well to give a modern twist to lehengas. Also experiment with colours and steer clear of reds and pinks which you may opt for weddings for more variation in your wedding styles. 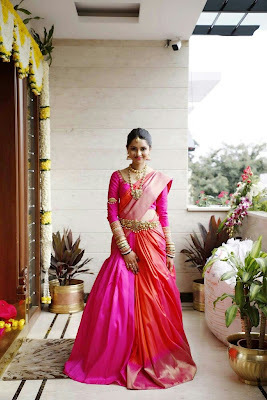 If you are a south indian bride then langa davani or half sarees make for gorgeous engagement outfits. Half sarees are worn by younger girls in south India and are perfectly suited for young brides. Select half sarees in vibrant shades and add some fun elements with tassels and you have an elegant yet girl engagement look ready. Capes are a trend going still strong and you ant really go wrong with them. Opt for the usual lehengas and pair them with blouses having floor length cape sleeves which make for a delicate chic look. You can skip the dupatta here because the sleeves give an illusion of dupatta. This is a very dance friendly outfit and is gorgeous for an event like engagement when the focus remains on your hands and a ring. 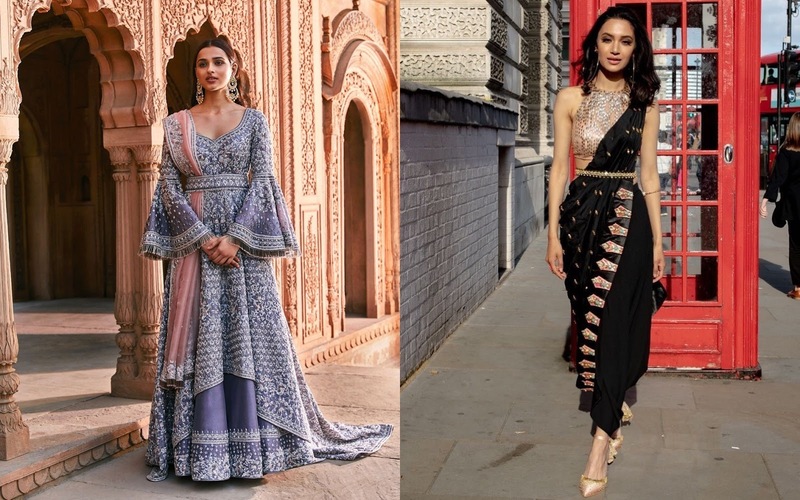 Ditch the traditional choli blouses and pair your lehenga with a peplum style long blouse for an indo western engagement dress which is sure to strike a trend. This outfit could be a statement in itself so go easy with your accessorizing and makeup. You can even skip the dupatta with a silhouette like this and it could suit a variety of different body types too. If you have well toned arms try an off shoulder neckline which can really add oomph and bring in a balance with fabric layers. 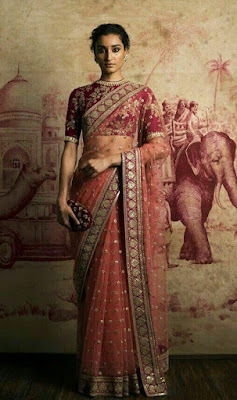 If saree is what your elders insist you wear for the roka ceremony then why not add a designer contemporary touch to it? 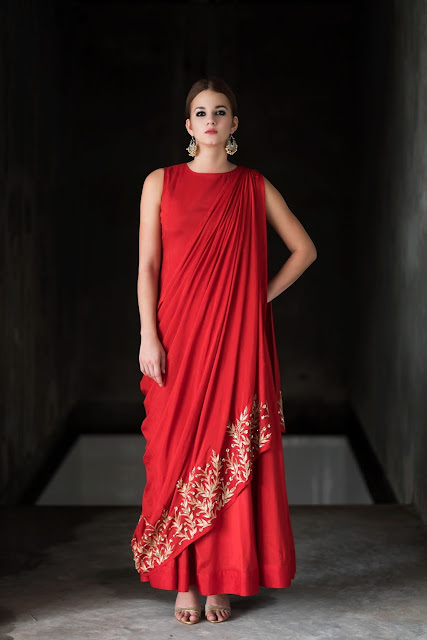 Modernize your saree look by adding a cape over it and it is sure to make you the star of the evening. Opt for sheer capes with sparse sequin work for subtle glam. You can even go for opaque capes with embroidery for winter appropriate outfit. Half capes, capes with tassel details or intricate work also look great with desinger sarees for occasions like engagement. If cape saree doesnt fit your style profile try gown version of capes. Gowns are the best engagement outfits but you should experiment a bit even with gown styles and what better than opting for the cape which trending in full swing this season. 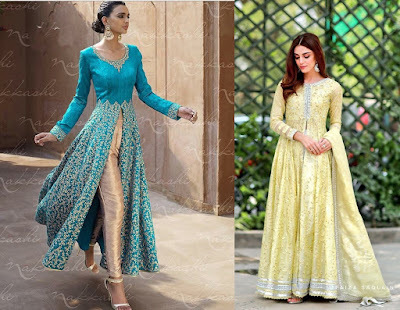 A gown with cape is almost like an anarkali with an attached dupatta so if you have dress which is going to make you look super stylish yet keep the traditional elders happy. Make sure to choose a colour which suits your complexion and subtle embellishments and with complementing bold makeup, quiet a stunner look. 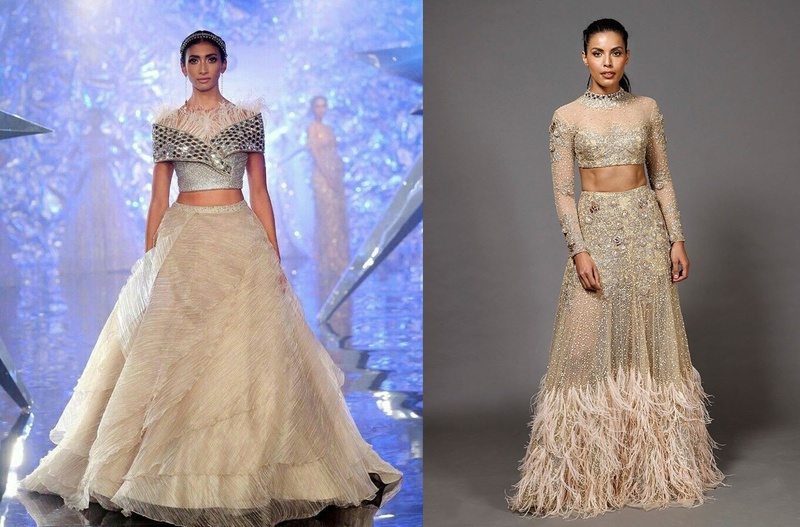 The one trend which Iam totally loving in Indian wedding wear is the fringe detail. You can go for metallic fringe beaded fringe or even fabric tassel type fringe detail on your blouse for an engagement look which is fashionable and fun. not just lehengas you can try the fringe trend even with saree blouses or indo-western gowns for an interesting spin. For styling go minimal and let the fringe stand out making a statement of its own. Side or middle parted open hair with chunky bangles complement the metallic fringe well. If you are a fan of modern sari twists then the pant saree should excite you. Here the petticoat is replaced with a pant making it more stylish and comfortable to move around . You can use a saree from your moms wardrobe or an extra long dupatta to ace this trend but there are many pre draped versions available which you can buy and zip up without worrying about the pleats and stuff. But make sure you have the persona and confidence to carry this around as it is a very bold outfit choice. 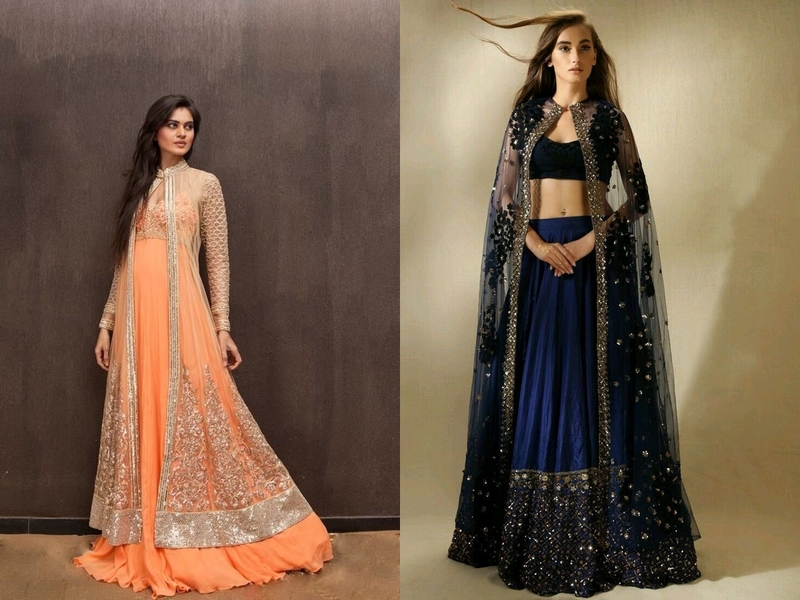 Capes are everywhere and they pair well even with the all time favourite lehengas. If you are very particular about wearing a lehenga for your engagement but want to make it trendy and fun then try adding a sheer ape over your choli and skip the dupatta. Most engagements these days involve lot of fun dancing and capes are very dance friendly and comfortable to handle unlike dupattas. You can even go for opaque capes which are perfect winter engagements. 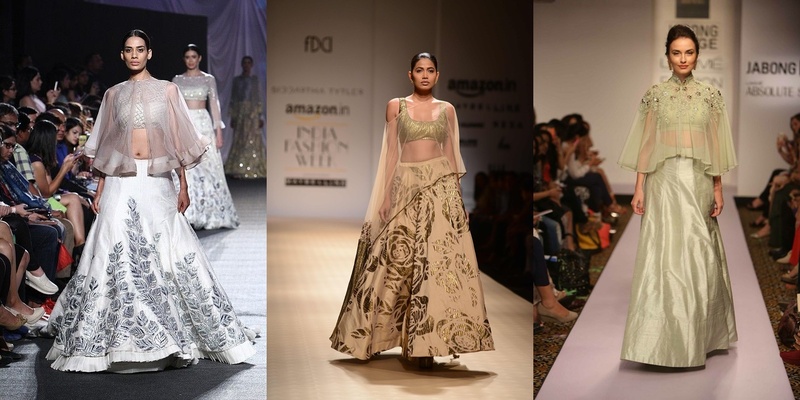 Who knew the asymmetric trend could look so gorgeous on lehengas. This is a nice fashion spin on your same old lehengas which makes for a trendy choice without veering out of your comfort zone. Try it if you like playing safe but with a bit of zing. 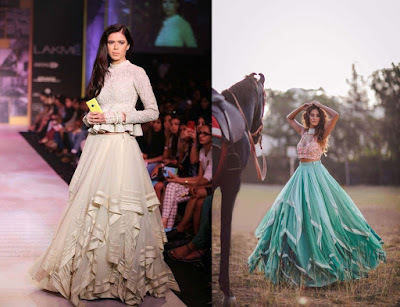 Ruffles are in vouge these days and many celebrities have flaunted this trend. 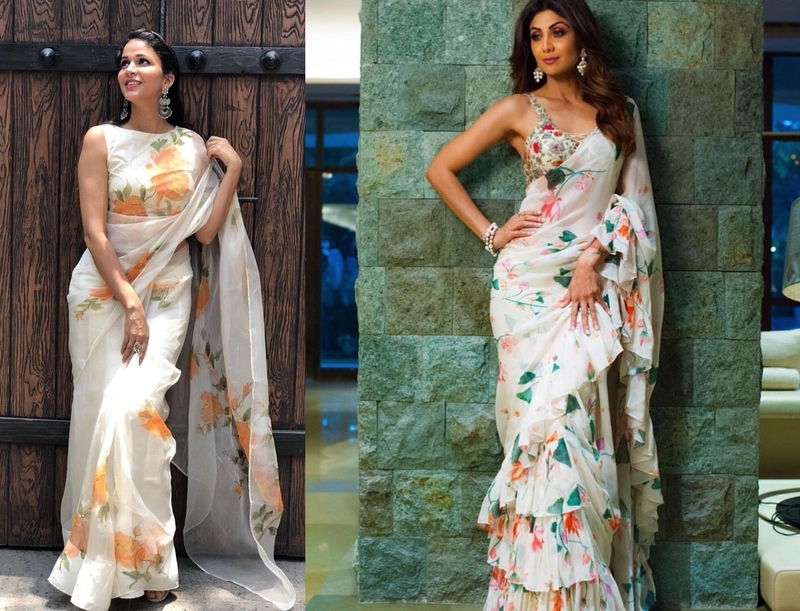 Ruffled gowns are personally my favourite way to wear this this trend but you can also try a designer ruffled saree for a fuss free day engagement look which is simple yet packs a punch. Go for chic and feminine prints like florals and pair it with a boat neck blouse and your roka look is ready. Sarees are eternal wedding classics and this modern spin on saree is sure to impress one and all. In the recent past I have seen couples have an extravagant and lavish wedding but a really simple and intimate roka ceremony. If your engagement function is also very intimate and small affair then stick to basic ethnic styles like simple plain anarkalis and glam it up with a benaras silk dupatta. Party wear suits with silk dupattas is quiet in trend these days and you can give it a shot at your roka. If you have a silk saree of your mom which she no longer wears you can re purpose it as a dupatta with help of a tailor and it would give your roka outfit a lot of sentimental value in addition to saving money. 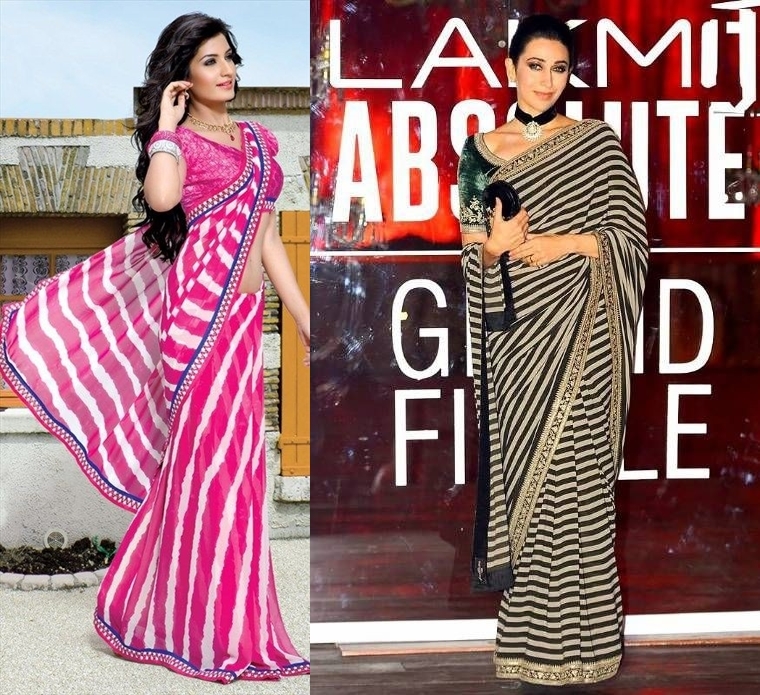 If ruffled sarees are a tad bit too filmsy for you try the striped saree trend. 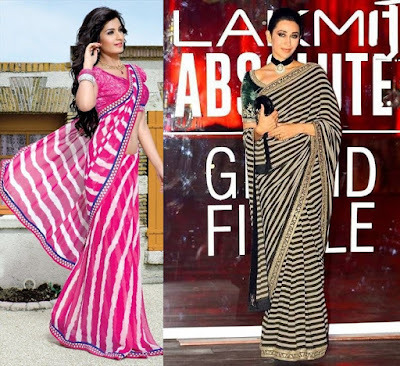 Leheriya inspired striped sarees are making a come back all thanks to sabyasahi . these striped sarees with heavy work borders are contemporary yet have a traditonal touch making them an apt choice for a simple roka event. Dress it up with a studded choker and pair with a rich velvet blouse and smokey eyes. Anarkalis have been around forever but you an try new variations with this silhouette to make it more fancy and fun. Try pairing a short kurti with dhoti pants for a quirky engagement look. You can even go for a slightly longer anarkli kurti with dhoti pants it bound to make a great impression. One can never go wrong with an anarkali. Pick a floor length anarkali with a high middle slit and pair with contrast pants which peek out. You could add a plain or net dupatta to complete the look. Not everyone prefers the elegance of silk sarees. If you are a north Indian bride then net sarees might interest you more and could make for beautiful roka outfit. A designer net saree paired with a high neck blouse is a sight to sore eyes and give anyone a run for their money. Net sarees require more sophisticated styling so opt for voluminous waves or a braided bun with dangler earrings and a structured clutch bag. If you are going for a high neck blouse avoid neck jewellery or just wear a long raani haar. For a contemporary take on your silk sarees try layering it up with a jacket to create a stylish look . This look can have many variations as per your style sensibilities. You can opt for long or a short jacket, jacket in contrasting hues for some colour play or even embellished or embroidered jackets for a rick opulent look which spells class. Not just silk sarees you can the jacket on saree trend even with your organza, net Georgette or handloom sarees for a contemporary roka look. but make sure to keep the season in mind because jackets can look odd in summers. Or just go for sheer layers to suit the weather better. 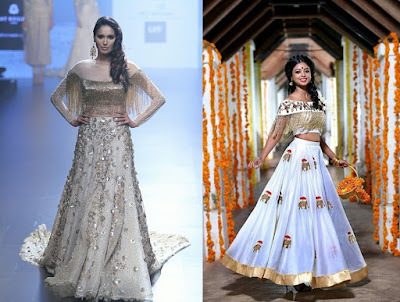 If you really want to wear lehengas make it stand out and strike a trend with new age blouse designs. Blouses come in variety of patterns and cuts these days from off shoulders to frill sleeves and fringe details you can try what suits your body type and style aesthetics best. 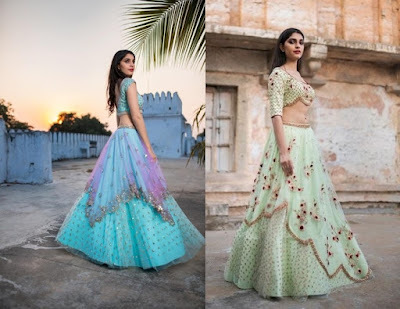 heavy work lehenga blouse designs are also a good option which contrast with your lehenga creating a visually appealing look. Collared blouses, cold shoulders, feather details and crop tops are other options you can try. Another interesting idea to make your lehenga stand out is to add a sheer overlay jacket of sorts over your regular lehenga and choli. You can buy a normal lehenga choli and get a sheer netter anarkali kurti over it from your regular tailor. Stick on some sequins or kundan stones for a splash of bling which makes it more attractive. 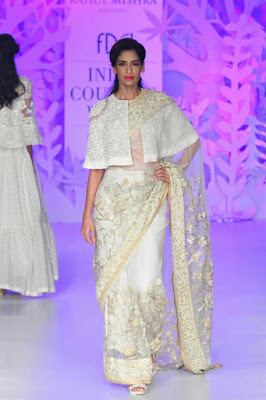 Or better still use a sequined net material to get the kurti stitched and watch how you become the talk of town with your experiment roka outfit. A braided updo or messy buns works best with an outfit like this and a vibrant lip shade and dangle earring can pull it all together. If the blouse experiments look a tad bit too bold for your liking then keep the blouse simple and experiment with lehenga styles. 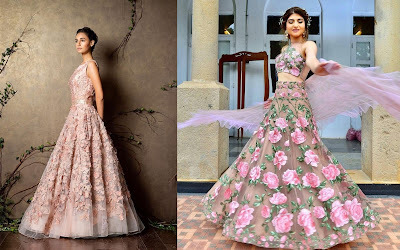 For this you will definitely have to go to a designer store and spend a bit but it is totally going to all be worth it when you twirl around in a ruffled or tiered lehenga on your special day. No compromise on comfort , yet ultra glam and stylish. This outfit idea surely has our vote. Sleek middle parted open hair with a mang tikka and choker necklace should do the trick here. If you follow wedding trends closely you will notice how faux feather inspired outfits are everywhere. 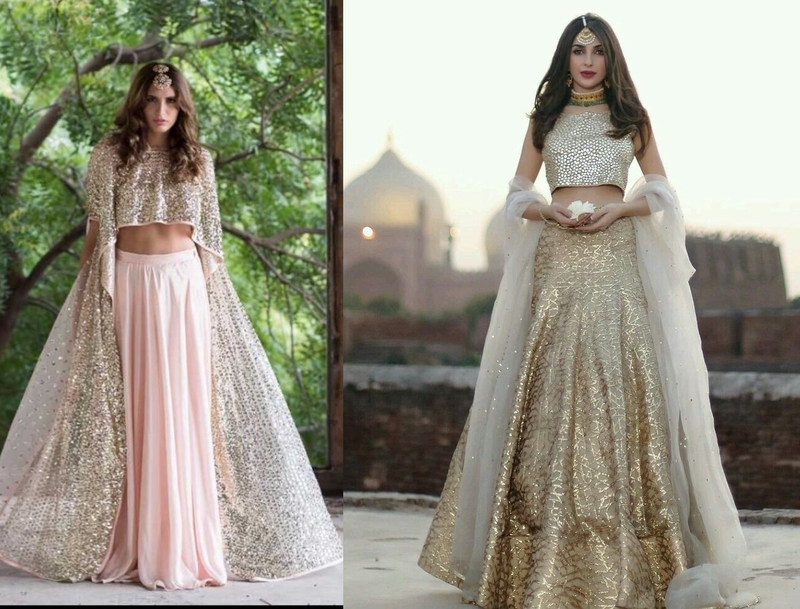 Priyanka chopra also versions of these styles at her pre wedding events. If you are one of those diva who follows fashion trends without blinking an eye try the feather lehenga trend. This trend where feather details are added instead of sequins in lehengas or cholis works best for winter or night engagement parties. Go for bold eyes and neutral lips and let the feathers increase the oomph factor of your attire. 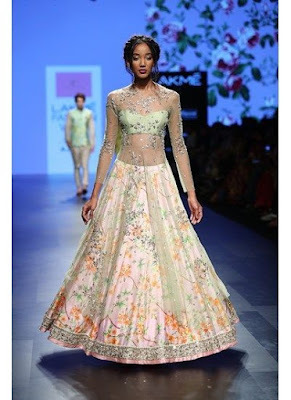 Floral applique lehengas are a nice way to go bold and dramatic at your own engagement. This is a very hatke outfit idea because not many women opt for this yet they make a very jazzy glam roka attire. You can choose lehengas or even gowns with applique work and it is sure to look stylish and fun. Opt for subtle sober colours and give a bright pop with jewellery or lip colour and you are all set to shine on your special day. Pre draped and stitched dupttas with lehengas are an amazing pick as they look alluring, trendy and are easy to carry off. 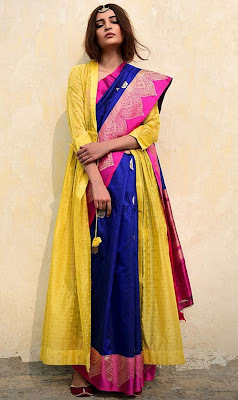 Outfits like these dont come with an additional dupattas but a dupattas like train of fabric is attached to the blouse which you can drape around your neck and let it fall behind like a train. You can infact get an additional dupatta in contrast colour and add to the visual appeal of your attire for a double dupattas kind of drape. Another huge trend is to ditch the usual dupattas and opt for designer ruffled version. 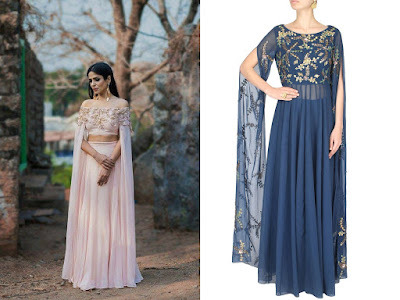 You can go for a suit, lehenga or even anarkali and add a designer ruffled dupatta. 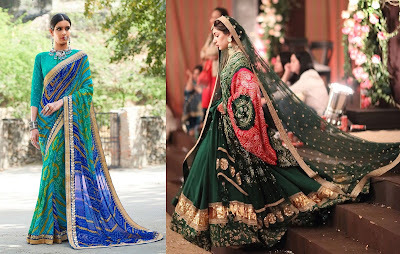 The idea here is to make the dupatta the main attraction while everything else complements the outfit. You can shop for a simple lehenga from your local boutique and get your tailor to stitch up a ruffled dupatta from plain fabric to go with your lehenga and you have a designer outfit ready without opening your wallet too wide! For young petite brides designer lehengas with one shoulder cholis are a great choice. 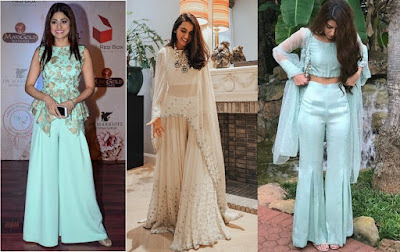 You can go for bold colours or pretty pastel shades as per your style but they look utterly impeccable and you can even skip the dupatta which such styles. Make sure to keep your hair away from the neckline for the blouse to be showcased clearly and to make a statement of its own. Kurtis with skirts can make for good engagement dresses too. Just make sure you get the fit right and add a contrast silk dupatta and it is sure to visually appeal too all. If you want a very punjabi style of roka outfit idea wear a long kurta with palazzo pants which a modern day spin to the patiala suits. This outfit idea is fuss free, conventional yet has lots of grace. If you are the kind who sticks to lehengas for a punjabi wedding event then lehengas in soft pastel tones is your answer. Try florals or Anushree reddy pastel designs which are sure to work well for morning events. But make sure keep your complexion in mind because pastels dont work well on dusky skin tones. The patiala punjabi suits are very popular outfit option with women in India. If you are a punjabi bride who wants to stick to your roots and opt for punjabi salwar suit for your roka then you can surely do that. These days there are so many designs and colour combinations available which even a normal silhouette like punjabi suit look festive. Opt for something in bright vivid colours with lots of zardosi work and your look is sure to pop in a sea of contemporary outfits the guests will wear. Suits are a great option if you are on the heavier side as they help hide flab and also can be tailor made to your fit. When pairing a kurta with skirt you usually think about straight cut kameez but who wants to play by rule book? Fashion is all about reinventing and innovating so try the flared skirt with flared anarkali kurta combination for your roka and watch all attention turn to you. This is an indian take on pakistani sharara outfit but make sure keep your height in mind while deciding the length of anrkali top. You can pair both long and short flared kurtis with lehengas and it is sure to look drop dead gorgeous. Weddings are the perfect time to flaunt your roots so what better than wearing hand spun fabrics or handloom textiles? Try rich textile sarees from different parts of India like the patan patola, bonkai, bhagalpuri, kalamkari or even the elegant and graceful kasavu saree which is easy to carry off and emanates grace. You dont have to be all traditional while wearing indian weaves. You could modernise your look by going for trendy designer cut blouses, contemporary gold jewellery and clutch bags. 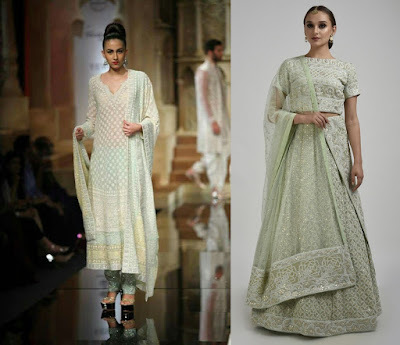 If you have a thing for pastels and Indian art then chikankari outfit is a great pick. Priyanka Chopra wore a yellow chikankari outfit for her own roka ceremony and you can try it too. This lucknowi fabric embroidery can be worn even as sarees, lehengas or suits and are ideal for day engagements. Want help with shopping chikankari outfits? Read this post on frugal2fab here. Sustainable traditional fashion is the way forward. You could also opt for bandhini tie and dye outfit for your roka. Prints can look all simple but these days bandhej combined with gota work gives a very wedding appropriate look which brides can opt for. You can go for a leheriya saree with ornate borders or a bandhani saree for a day engagement. 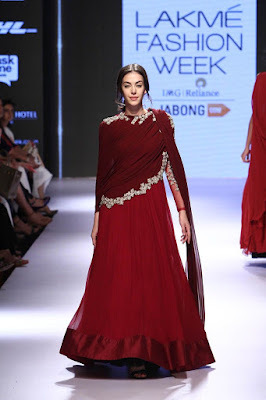 Even a normal lehenga with a bandhani second dupatta gives a very traditional connected to your roots sort of unique look. 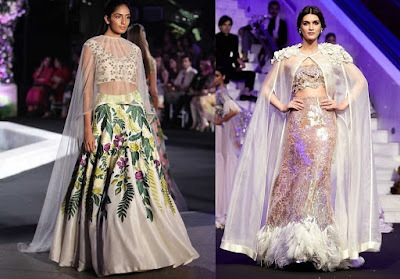 Move over banarasi sarees the new trend is for brides to twirl around in banarasi lehengas and we have spotted quiet a few brides in silk lehengas. Benarasi silk lehengas are great way to support local weaves yet look trendy. These outfits are actually very easy to aquire or get made. 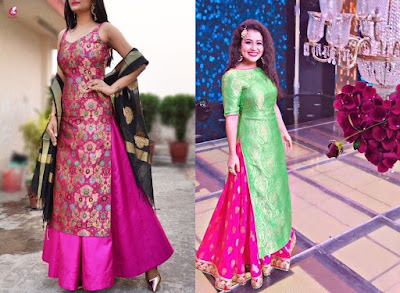 you can just source fabric and get your tailor to stitch up a flared lehenga with trendy cut blouse in contrasting colour and you are good to go. No need or intricate embroidery or sequin work because banarasi fabric has its own rich feel and sheen which makes it any special event appropriate. 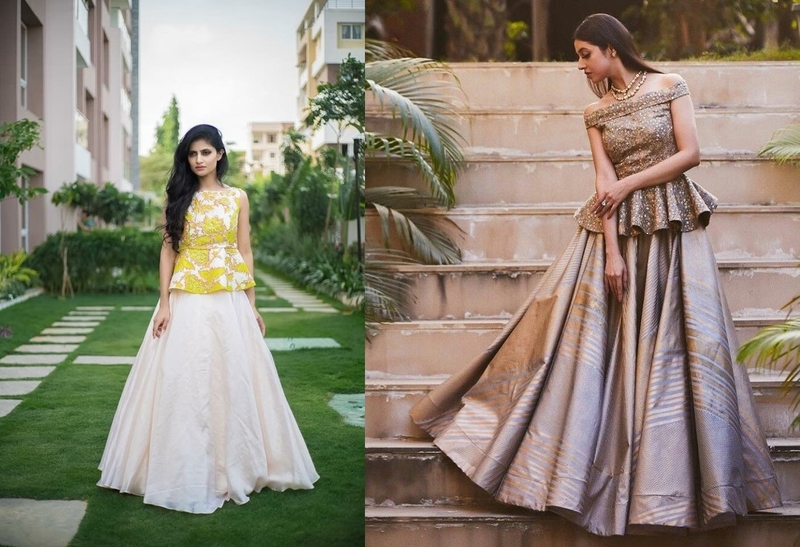 These lehengas are best if you want something light yet festive and you can pair with a simple net dupatta for more breezy feel. 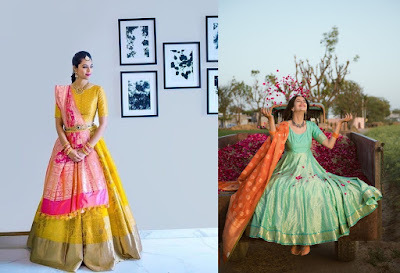 If lehenga isnt your thing you can even get banarasi suits or anarkali stitched for your roka. Gowns are obviously most sought after outfits for engagements but if you have simple and intimate affair skip the voluminous flared silhouettes and choose a draped gown. A draped gown gives you a fusion appeal and a slimming effect. Belting your outfits is the easiest way to modernize them. A saree, lehenga or a gown wear whatever suits your style and cinch at waist with a belt. 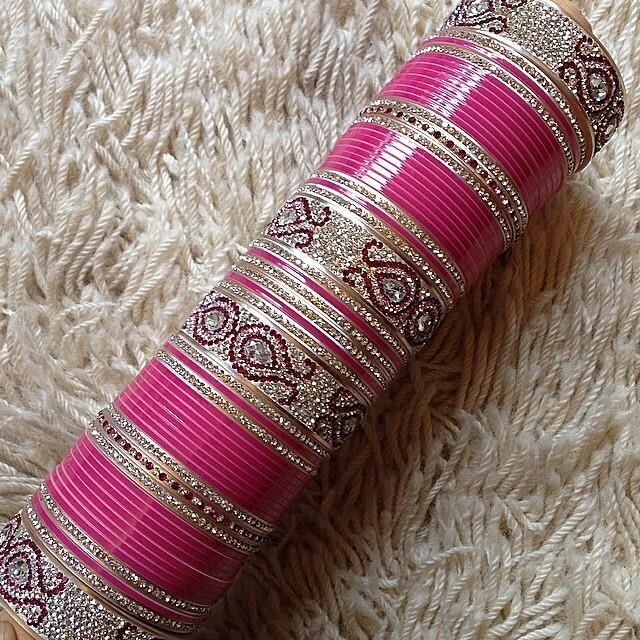 You try different kinds of belts like a leather belt, fabric belt, metallic belts or even jewelled kamar bandh. 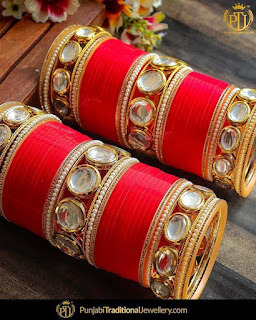 For sarees belts help keep pallu in place while the dupatta of a lehenga or anarkali gown can be also be belted to stay in place all through your engagement ceremony. Deep V neck gowns which flare out are an eternal classic and you can never go wrong with them. 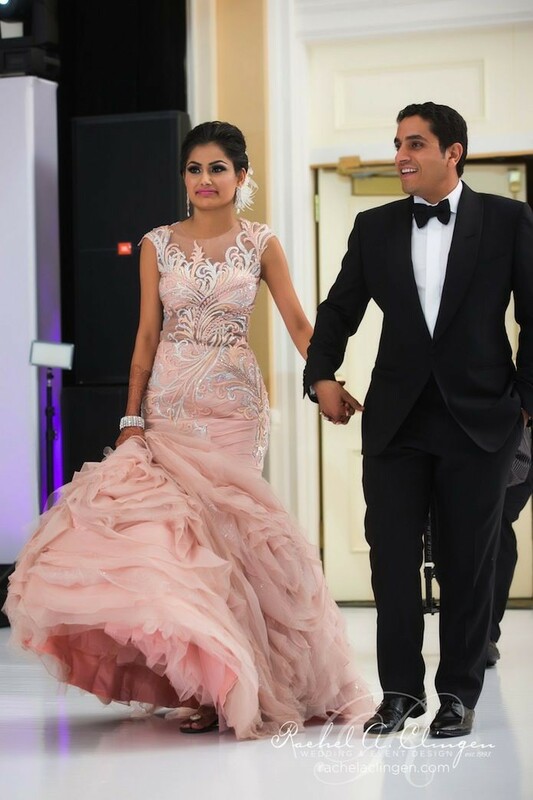 Go for all over sequin work and diamond jewellery to pair with a gown like this for a sophisticated roka look. A mermaid style gown works best if you have slim waistline. 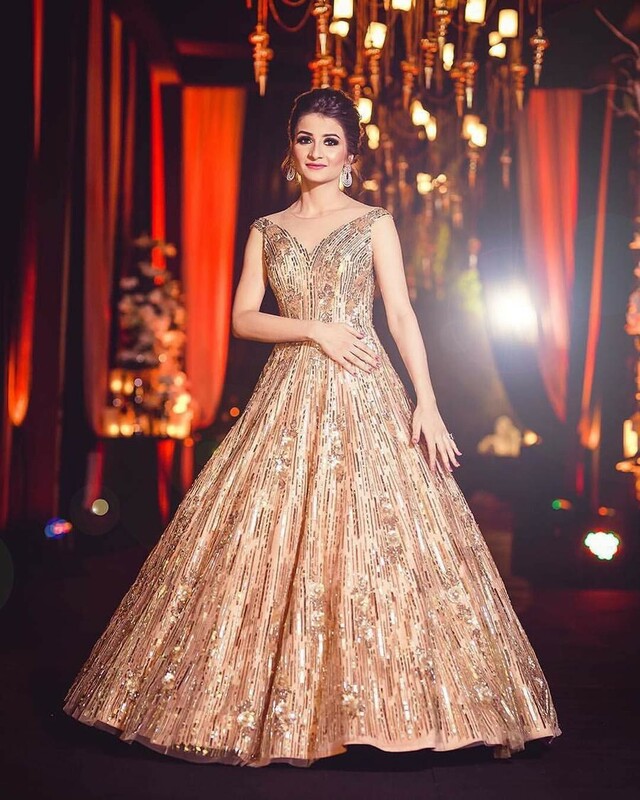 you ould try this kind of gown which hugs your figure all the below your waist and flares out only towards the end giving an illusion of perfect hourglass figure. This outfit is a great way to surprise your partner as he is sure to have a tough time taking eyes off you. Go glam, go bold and kill it with your style game. Palazzos are everywhere and you can actually wear it even to weddings or your own ring ceremony. this is a very fancy way to stay ethnic yet trendy. You can pair your palazzo pants with asymmetric tops, sheer capes or front open jackets. They are so many ways to flaunt flared pants these days, you just have to get creative and you will have a unique never flaunted before outfit idea ready. 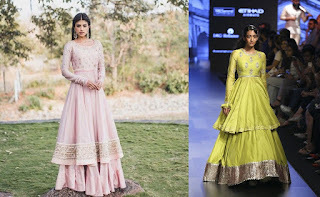 Another unique fashionable outfit idea which is sure to keep your mom happy is the anarkali long gowns with a asymmetric twist. These are so breezy, comfortable and easy to carry off yet look so damn amazing I am totally in love. If you wish to play it safe, play with a glam punch and smash it out of the park by opting for an outfit like this. 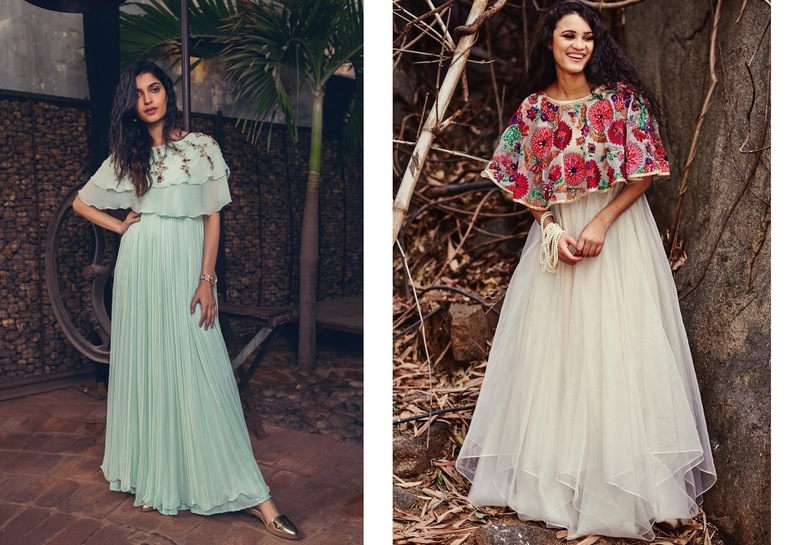 If you are worried about upsetting your in laws with bold outfit choices then indo-western silhouettes are your best friend. They are a perfect amalgamation of tradition and modernity keeping all youngsters impressed while the elders are happy too. Pay special importance to your hairstyle. 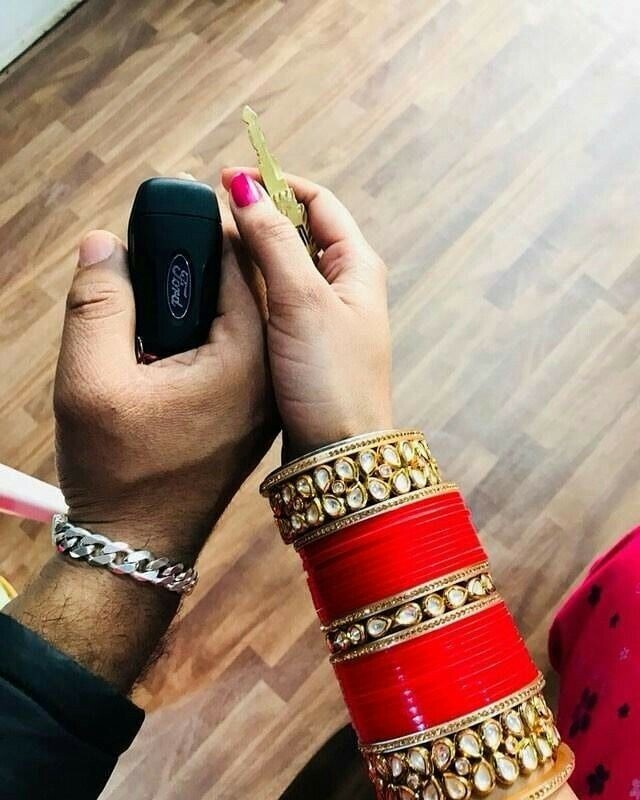 Engagement is probably the only time you dont keep your head covered in a dupatta. Sophisticated buns, half up hairstyles, trendy hair pins all are options you can pick from. If you really want a safe outfit option then it is fine, wear what makes you comfortable but make it unique. Go bold with makeup, bright lips, smokey eyes or try jewellery in contrasting colours which helps elevate your simple outfit. Keep your body shape shape in mind while choosing an outfit. Choose colours wisely. Colour can play a major role on how your entire attire turns out. 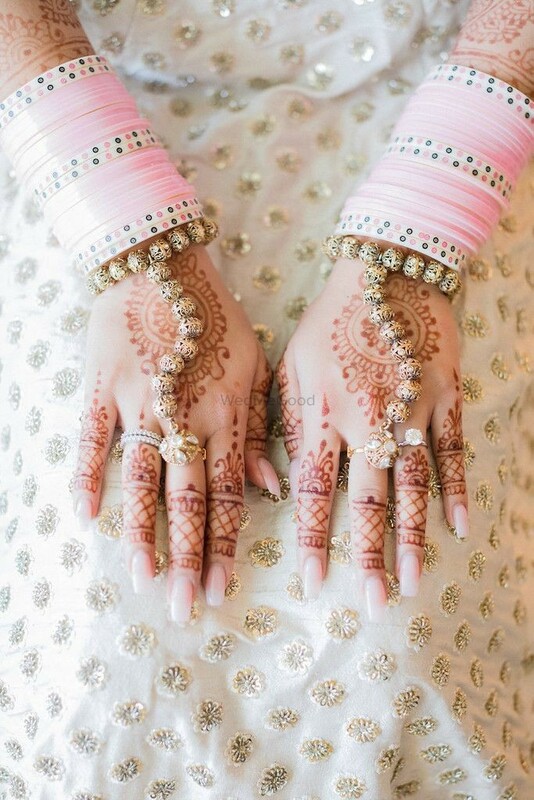 Subtle colours work best for engagement as you can save the loud ones for wedding but also make sure the colour looks good on your complexion. Get the right fit. Trail your outfit properly before your roka day and get all fit issues fixed from your local tailor because nothing is worse than an ill fitted outfit. 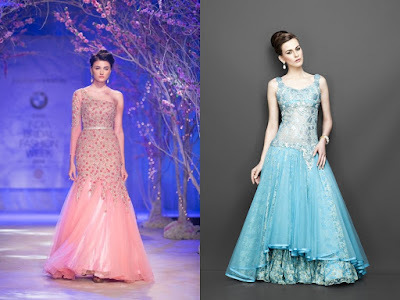 Which of these engagement dresses for women do you prefer to wear? tell us!